We are a well-known Laminar Flow Plenum Manufacturer and Supplier in West Bengal, India. 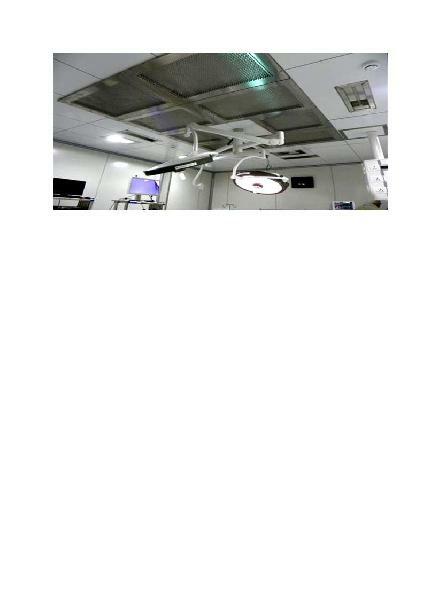 We provide a wide range of Laminar Flow Plenum for Hospital Use. The unit is made of SS-304/SS-316, equipped with 0.3 Micron HEPA Filter and Blower to maintain the desired classified zone in the working area. It complies the requirement of NABH. The Laminar Flow Plenum is very suitable for operation theaters of Hospitals ensuring infection control and maintaining dust & contamination free zone during operation. It is available in various sizes for application in General OT & Super specialty OT. The flow plenum is installed on top of the O.T. Table and the clean air, free from dust and other contaminated particles, is circulated vertically downward to obtain the desired result. Laminar Air Flow is designed and manufactured as per requirement of the customer. We supply & install AHU, Surgeons control panel etc. in addition with the unit.